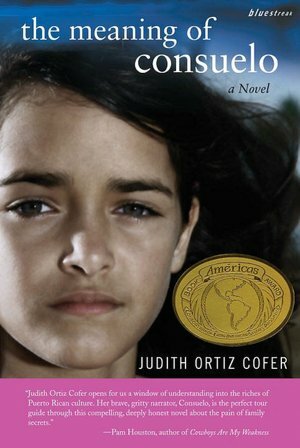 Hey there readers, this week I am honored to introduce Judith Ortiz Cofer, the author of our last featured YA book for this academic year, The Meaning of Consuelo. 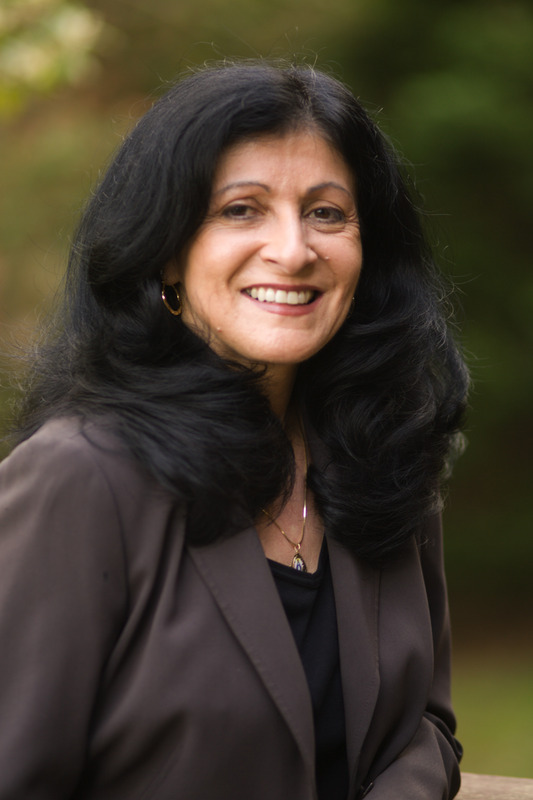 Ortiz Cofer was born in Hormingueros, Puerto Rico, where she spent her formative years until her father’s job in the Navy had them move to Paterson, New Jersey. Ortiz Cofer, though, returned repeatedly to the island, often staying for months at a time with her grandmother. Her passion for story telling was inspired by the many stories she heard from her grandmother during these visits. In her writing, she deals with issues that have been themes in her own life, such as having experienced the opposing world views of her parents who disagreed about living on the island. While her mother wanted to maintain strong ties to her tradition and heritage, her father wished to disassociate himself and his children from the stigmas and lack of opportunity of being from the island. In an interview done by the Annenburg Foundation, she states, “I now know that it was my heritage; this is my material, this is what I can write about because I have intimate knowledge of it. So in a lot of my books, beginning with my early poetry and then on to my novels…my theme is: When you are always between cultures and between languages, how do you negotiate the world? 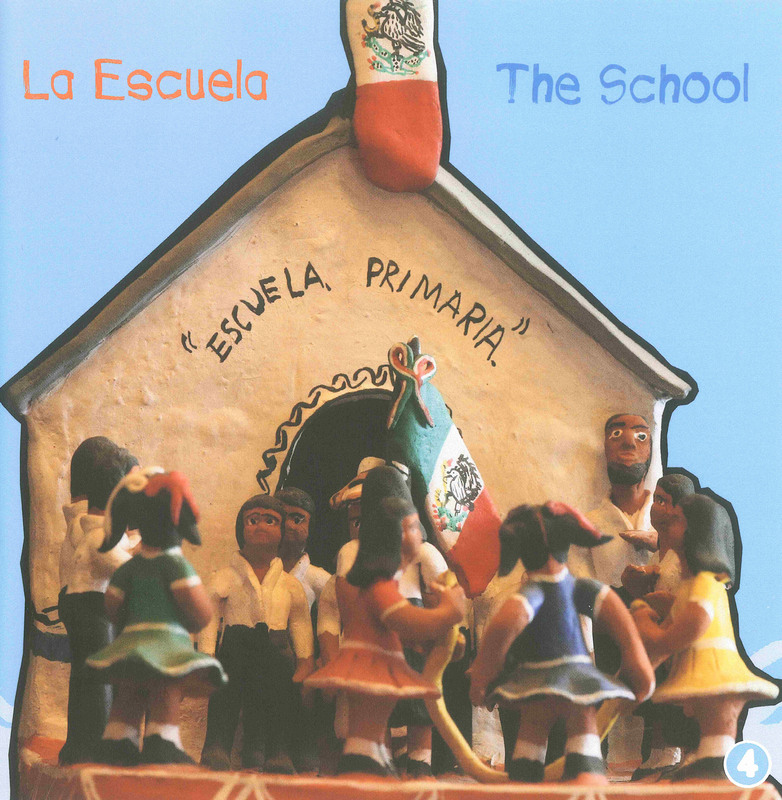 And I think that is a very contemporary theme because America is constantly being populated and repopulated by new immigrants, and that is what makes this country unique.” This theme is evident throughout our featured novel, The Meaning of Consuelo, in particular. Greetings, readers! I am honored to have had the chance to present such great books this month pertaining to themes such as poetry and Earth Day. This week I have another wonderful one. At the end of April, there falls a special holiday that is perfectly addressed in this week’s book: Book Fiesta! 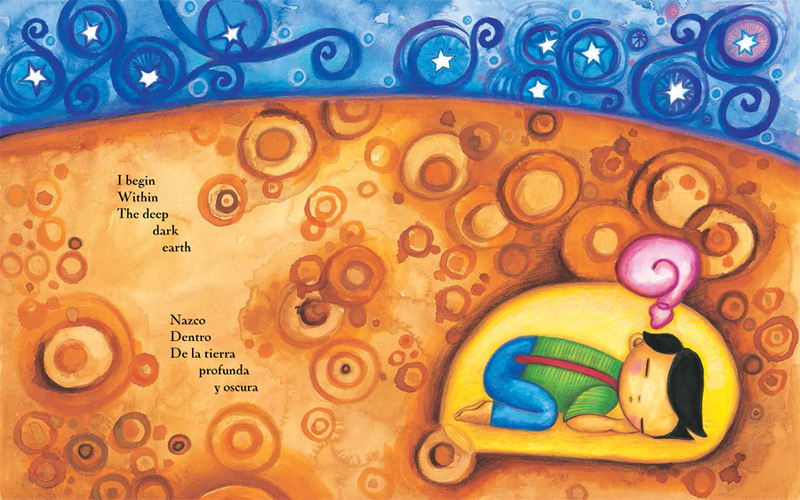 : Celebrate Children’s Day/Book Day; Celebremos El día de los niños/El día de los libros written by Pat Mora and illustrated by Rafael López. Take a ride in a long submarine or fly away in a hot air balloon. Whatever you do, just be sure to bring your favorite book! 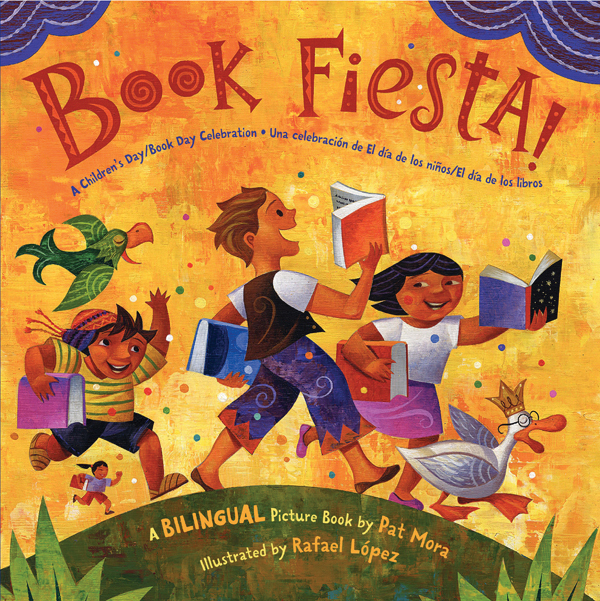 Rafael López’s colorful illustrations perfectly complement Pat Mora’s lilting text in this delightful celebration of El día de los niños/El día de los libros; Children’s Day/Book Day. Toon! Toon! Saludos, readers! 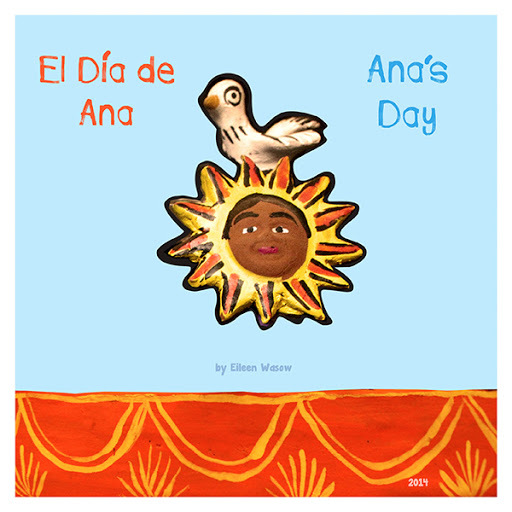 In light of Earth Day (April 22) and National Poetry Month I am delighted to present to you a very special book that perfectly celebrates a child’s relationship to nature through bilingual poetry. 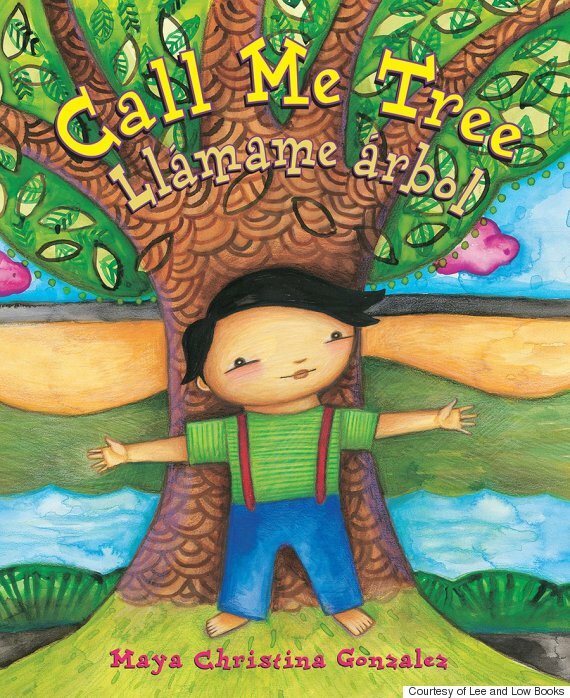 Call Me Tree/Llámame árbol, written and illustrated by Maya Christina Gonzalez, is a beautiful book that manages the unique achievement of being gender neutral. 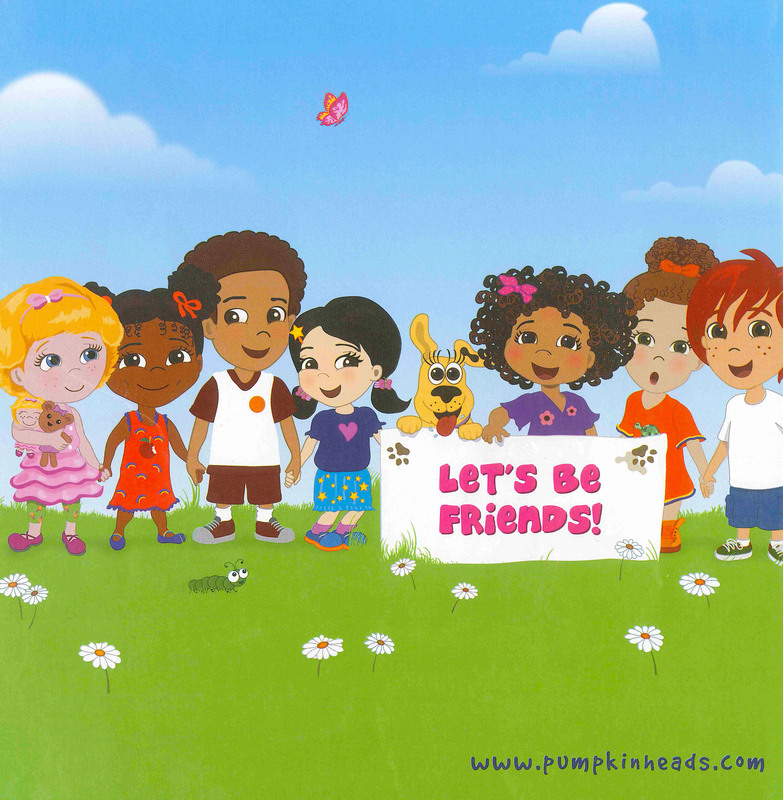 In this spare, lyrically written story, we join a child on a journey of self-discovery. Finding a way to grow from the inside out, just like a tree, the child develops as an individual comfortable in the natural world and in relationships with others. The child begins “Within/ The deep dark earth,” like a seed, ready to grow and then drea m and reach out to the world. Soon the child discovers birds and the sky and other children: Trees and trees/ Just like me! Each is different too. The child embraces them all because All trees have roots/ All trees belong. Maya Christina Gonzalez once again combines her talents as an artist and a storyteller to craft a gentle, empowering story about belonging, connecting with nature, and becoming your fullest self. Young readers will be inspired to dream and reach, reach and dream . . . and to be as free and unique as trees. Hey there readers! Now that it’s April, we will be celebrating National Poetry Month in conjunction with the fact that it’s finally springtime! 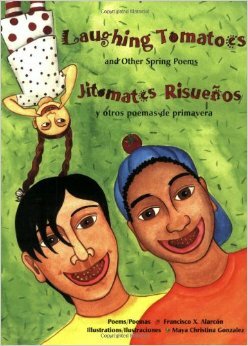 This week I present a beautiful bilingual book that perfectly encapsulates these two themes: Laughing Tomatoes: And Other Spring Poems/Jitomates risuenos: y otros poemas de primavera written by Francisco Alarcón and illustrated by Maya Christina Gonzalez. Tomatoes laugh, chiles explode, and tortillas applaud the sun! With joy and tenderness, delight and sadness, Alcarcon’s poems honor the wonders of life and nature: welcoming the morning sun, remembering his grandmother’s songs, paying tribute to children working in the fields, and sharing his dream of a world filled with gardens. 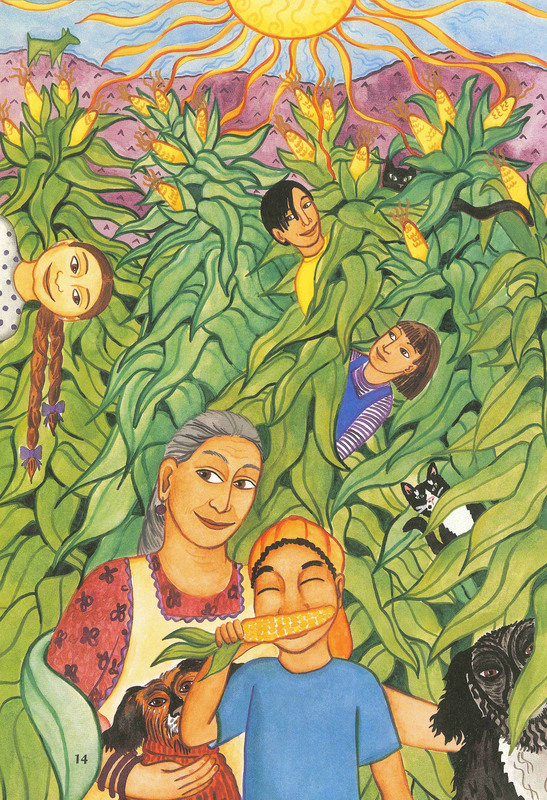 Artist Maya Christina Gonzalez invites us to experience the poems with her lively cast of characters including a spirited grandma, four vivacious children, and playful pets who tease and delight. Follow them from page to page as they bring each poem to colorful life. Laughing Tomatoes and Other Spring Poems is a verbal and visual treat, giving us twenty opportunities to see everything for the first time. 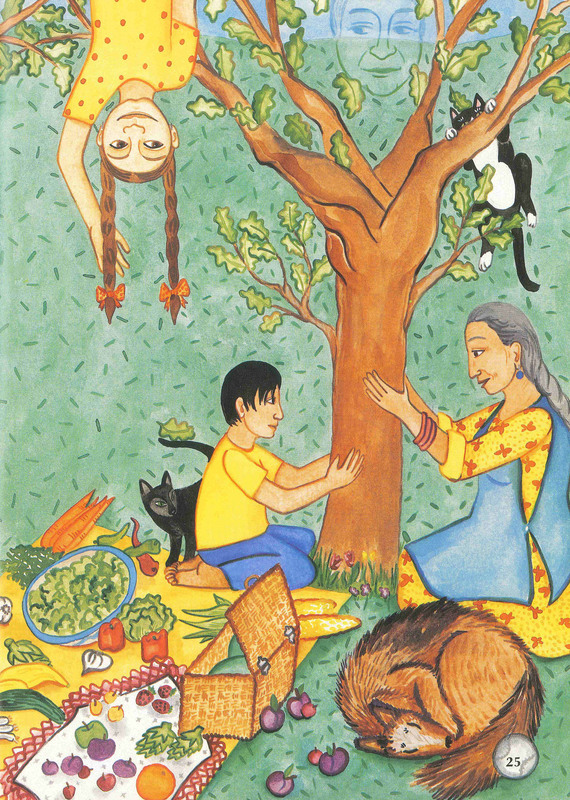 The book celebrates an appreciation of nature’s resources: a boy wakes up to the morning sun warming his bed, there is an ode to corn, and a prayer for a fallen tree. There is a poem about strawberries that recognizes children who work in the fields, followed by a poem that describes how the children planted an oak tree “more bountiful with time” that had “open arms for grown up’s and children” with the features and spirit of Cesar Chavez, planted on his birthday. Join us May 4th from 5:00-7:00 pm to discuss our next book. Instead of meeting at Bookworks, however, we will celebrate the end of the year at Tractor Brewing Company (1800 4th St NW). 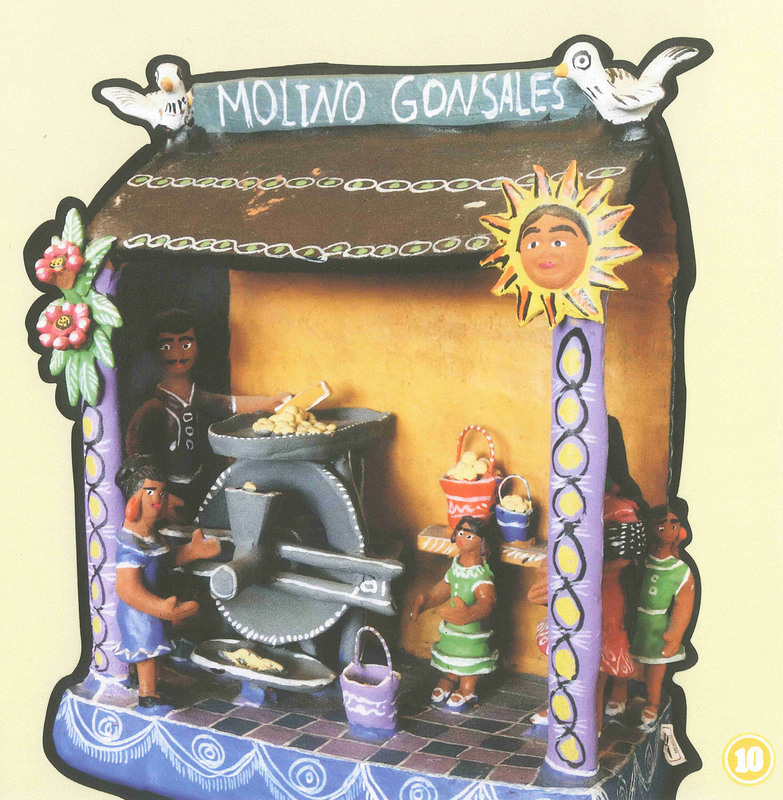 We are reading The Meaning of Consuelo by Judith Ortiz Cofer.